On Monday April 19, 2010, the Boston Marathon featured some of the most impressive racing in years, several elite and general field records broken, from the fastest finish, the best American time, wheelchair milestones, number of participants and finishers, and more. The author, a 13-time Boston Marathon finisher, was there to capture the legendary race in images. More than 120 photos are presented here in full-color, in full-size 8x10 coffee table book format. Notably, this book represents the culmination of what is perhaps the most extensive single-day, solo Boston Marathon photo coverage presented as a collection, ever. From sunrise to late afternoon, from Boston to Hopkinton and back again, at the start, on the course's early miles in Ashland, and at the finish line on Boylston, the author was there to record the indelible scenes of this epic event. The author's live-action race photos have been featured by national broadcast, print and internet outlets for years. 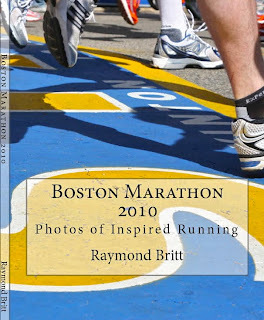 Boston 2010 was no exception; many of the images throughout this book were featured on CNN's global coverage of the Marathon. "The point of the journey is not to arrive, but to celebrate the moments along the way. That was my purpose as I photographed the race, and that is what I present in this book: the moments that make the Boston Marathon what it is, the moments that make it legendary. "This is the Boston Marathon as I see it. This is what Epic looks like."